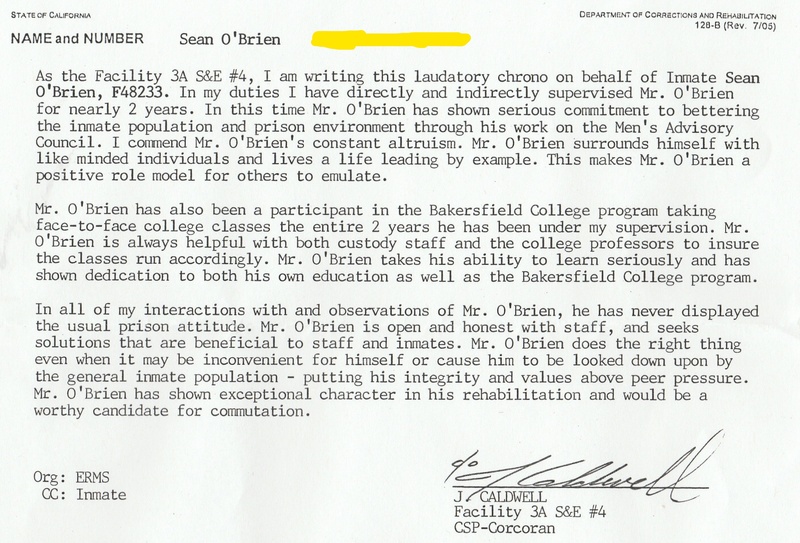 The following are the two most recent chronos written for Sean’s commutation by prison staff. The first one is from Officer Caldwell, the officer assigned to his yard and former program officer, and the second one is from Lieutenant Peterson, former R.E.A.C.H sponsor. Sean will be sending these letters to the Governor I. his commutation packet, along with many other chronos, letters from friends and family, achievement certificates, college transcripts, and photos. These descriptions of my husband Sean: “Highly respectful, courteous and polite” “positive role model” “never displays the usual prison attitude” “open and honest” “does the right thing even when inconvenient for himself- putting his integrity and values above peer pressure” “has shown exceptional character” “hard work, dedication, positive attitude and admiration of both peers and staff” , these are things I already know and love about him but it is so valuable to have it come in the form of a professional letter from experienced highly reputable people. Even though Sean proved his innocence in court at the Evidentiary Hearing in January 2017, we are still being forced to wait for the ruling and during that wait we are painstakingly proving his character as well as his innocence in his commutation packet. It’s a task we do not take lightly, but it is a challenge we ae ready for because we know the truth. 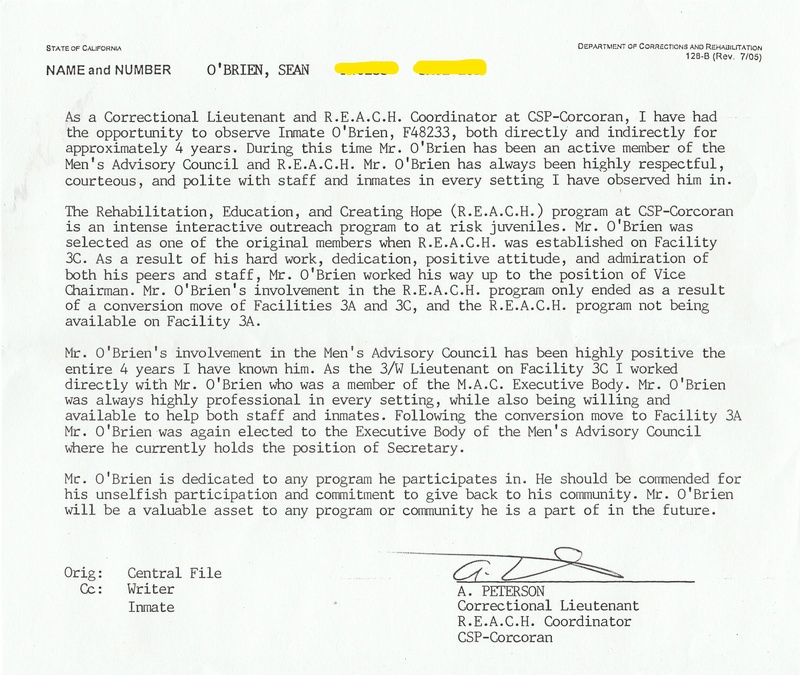 Thank you to Sean’s professors, prison staff and friends who have written chronos and letters of support! It means so much to us. This entry was posted in life in prison and tagged #RISER, Governor Newsom, strong husband, truth. Bookmark the permalink.